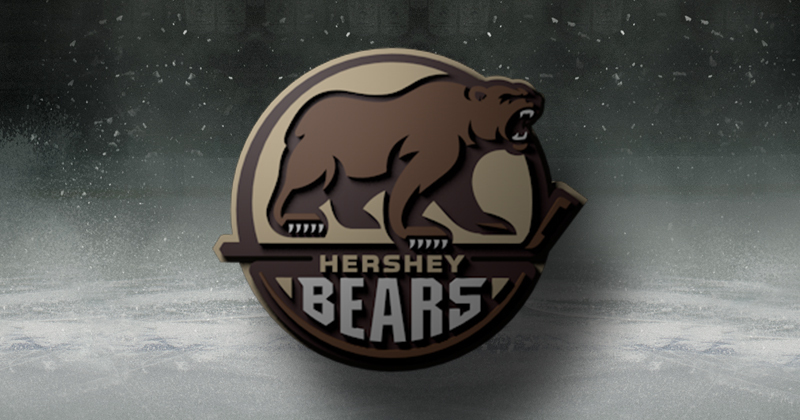 The Hershey Bears hit the road this week to open a four-game road swing. The Chocolate and White will visit Binghamton this Wednesday, Wilkes-Barre/Scranton on Saturday, and Bridgeport on Sunday before closing out the stretch next Wednesday, Jan. 23 in Lehigh Valley. As the Bears sit seven points out of a playoff spot, the club will look to improve its road record of 6-11-0-1. The Bears are coming off a pair of victories last weekend. However, the three in three started with a loss at the Springfield Thunderbirds on Friday. Despite an early goal from Mike Sgarbossa only 3:30 into the game, the Thunderbirds scored five straight goals on the way to a 6-2 win. Juuso Ikonen had Hershey’s other tally. Last Saturday, the Bears bounced back with a 3-0 victory at Lehigh Valley, snapping a nine-game losing streak at the PPL Center. The Bears scored three times in the second period, as Ryan Sproul scored first, and Riley Barber followed with a pair of four-on-four markers. The Bears allowed a season-low 18 shots as Ilya Samsonov posted his sixth win of the year in goal. The Bears completed a home-and-home sweep of the Phantoms last Sunday, beating Lehigh Valley 5-4 at Giant Center. Hershey scored three goals on the first four shots of the game and got goals from five different players. -Wednesday, Jan. 16 at Binghamton, 7:05 p.m.
-Saturday, Jan. 19 at Wilkes-Barre/Scranton, TIME CHANGE- Game now 3:05 p.m.
-Sunday, Jan. 20 at Bridgeport, 3 p.m. The Bears are committed to giving back to the local community. On Tuesday, Jan. 15, Juuso Ikonen and Steve Johnson will sign autographs at Camping World in Harrisburg from 4:30-6 p.m. On Thursday, Jan. 17 select Bears will visit children at Penn State Health Milton S. Hershey Medical Center. Additionally, team mascot, Coco, and select players will appear at Houlihan’s in Hershey from 5:30-7 p.m. that day. FIRST IMPRESSIONS: The Chocolate and White have put together an impressive string of strong starts, scoring the first goal in eight straight games. The Bears hold a 5-3-0-0 record in that stretch. Overall, Hershey has scored first 20 times this season, posting a 12-7-0-1 record when they notch the game’s icebreaker. RILEY ROARS: Forward Riley Barber continued his strong play, improving his point streak to five games, the longest of any Bear this season. Barber has scored nine points (four goals, five assists) in that span. He has two straight multi-point games, and a team-high 10 contests where he has registered two or more points. The Pittsburgh native has factored into the scoring in eight of the past nine games, collecting 14 points (six goals, eight assists) in that stretch. JUUSO GOOD: First-year Bear Juuso Ikonen had points in all three of Hershey’s games last weekend, giving him his second three-game point streak of the season. Ikonen has four points (one goal, three assists) in his last five games. The Bears are 6-3-0-1 when the product of Espoo, Finland has a point. SAMMY’S SHUTOUT: In Saturday’s win at Lehigh Valley, netminder Ilya Samsonov earned his first AHL shutout, stopping all 18 shots he faced. Samsonov, who recorded seven career clean sheets in the KHL, is 2-1-0 with a 1.69 goals against average and a .915 save percentage over his past four appearances with the Chocolate and White. FAZING THE PHANTOMS: The Bears beat Lehigh Valley twice last weekend to improve the club’s record versus its rival to 3-4-0-0, already earning Hershey one more win than they had versus the Phantoms in 12 games last year. Saturday’s victory was Hershey’s first regular season win at the PPL Center since Apr. 5, 2017, and with a win the next night, the Bears beat the Phantoms in back-to-back tries for the first time since the end of the 2015-16 campaign. BEARS BITES: Mike Sgarbossa is slated to play in his 400th professional game on Wednesday in Binghamton…Liam O’Brien’s next point will be the 100th of his professional career…Brian Pinho scored his first professional game-winning goal in Sunday’s victory…Joey Leach scored his first point of the season on Sunday, assisting on a Nathan Walker goal. It was Leach’s first AHL point since Nov. 6, 2016, a span of 28 games…Connor Hobbs returned from an upper-body injury last Friday, and two days later added his first goal since Oct. 12…Goalie Vitek Vanecek has won four of his past six starts, and has two straight victories.